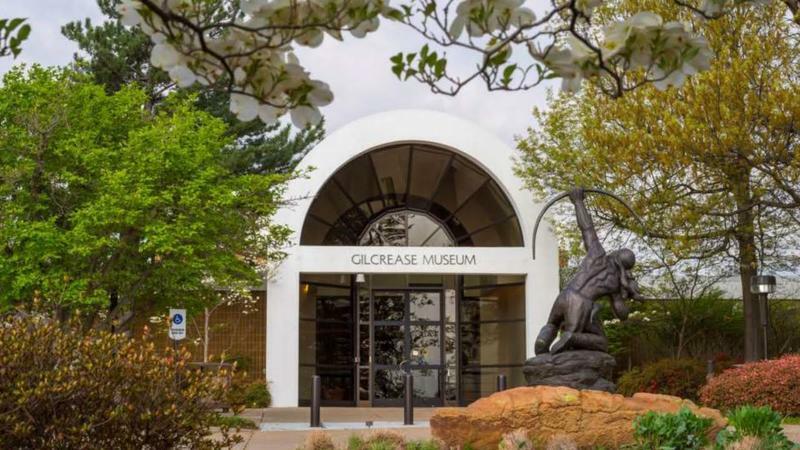 Both at Gilcrease: "Looking West: The Rumley Family Collection" and "Creating the Modern Southwest"
On this installment of StudioTulsa, we speak with Laura Fry, the Senior Curator and Curator of Art at the Gilcrease Museum. She tells us about two special exhibitions now on view at the museum: "Looking West: The Rumley Family Collection" (which will close on the 19th, this coming Sunday) and "Creating the Modern Southwest" (which will close at the end of this year). NPR's Steve Inskeep to Speak at "From Removal to Rebirth: The Cherokee Nation in Indian Territory"
On this installment of ST, we listen back to great discussion from May of last year, when we spoke with Steve Inskeep, co-host of National Public Radio's Morning Edition.